Why is Lego angry at us? Recently conducted studies shows that 6,000 mini-figures released from 1975 to 2010 found that they all had the same smiley face until 1989. However the range has since expanded to include hundreds of different emotions - and the faces are increasingly angry. "The children that grow up with Lego today will remember not only smileys, but also anger and fear in the mini-figures' faces," the study says. 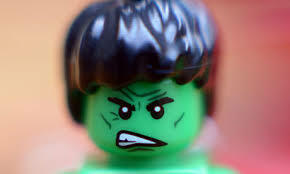 "The Lego company started in 1989 to dramatically increase the variety of facial expressions. The two most frequent expressions are happiness and anger and the proportion of happy faces is decreasing over time. "We cannot help but wonder how the move from only positive faces to an increasing number of negative faces impacts how children play." "Lego has a considerable array of weapon systems in their program, although the weapons mainly appear in the fictional themes," it said. "Lego might not be able to hold onto its highly positive reputation." 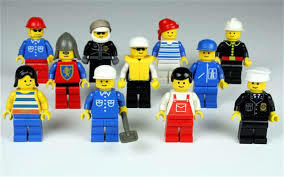 Since 2003, the mini-figures have also featured different skin colours aside from Lego's standard yellow. About 4 billion mini-figures have been sold by the Danish toy maker. The lead author, Dr Christof Bartneck, a robot expert from the University of Canterbury, said the change in the faces reflected a broader shift among toy and game makers towards depicting conflict-based themes. "When I grew up the only thing I ever had was smiley faces, and I had very positive and happy memory of Lego," he said. "If you go into a toy store these days what you see is that a lot of the themes and topics, particularly for the toys for the boys, are very rich in conflict and war and weapons. It seems to be a sign of the times that this is currently what is popular in toys and what sells." Lego has been and will be my favorite game ever in the whole world and the same as of now even applies to my boy - Agastya! But i wonder till what point the game only a positively creative and inspirational game?